Girl group turned mature woman group MKS seem somewhat embarrassed about their previous incarnation as the original Sugababes. 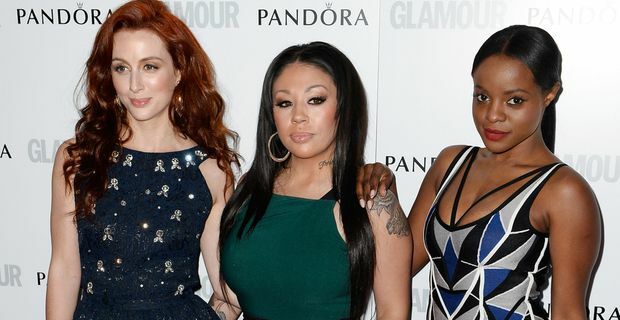 Pop fans might be quite affectionate about the line-up that preceded various saccharine and aspartame imitations but Mutya Buena, Siobhan Donaghy and Keisha Buchanan are unhappy about that word "original"
"It makes us feel 150 years old," Buchanan told The Observer. They hit 30 next year, which admittedly is pretty ancient by the standards of the frantic pop universe they inhabit. The Sugababes was a pop confection that changed the basic ingredients pretty much every year, but the sort of people who take disposable pop seriously decry the line-ups that followed the original trio. The three try not to be too bitchy about their successors. They just don't try very hard. "Our music speaks for us," Buena says, before letting the others do some speaking anyway. "Only the three of us can write and sing the way we do," Donaghy says. "Unfortunately they don't have our vocals," Buena says about the later incarnations, forgetting that she was going to let the music speak for them. "Well, fortunately, actually. Everyone calls us the Sugababes anyway." Just not legally. They can't use the name because of some contractual small print that can bedevil pop stars who find fame very young and are soon told that they are interchangeable puppets. Part of the problem with the original line-up was that they didn't get on. Donaghy escaped the conflict early, saying in 2004, "It was all hate, hate, hate." The business seems to have helped them settle their differences and get back to turning a profit while there is still an audience. Buchanan insists the reformation as MKS is not that cynical. "For us it was deeply personal. Let me use the right words: people didn't allow us to enjoy the experience the first time round." Donaghy puts it more bluntly. "To be honest we were pissed half the time".